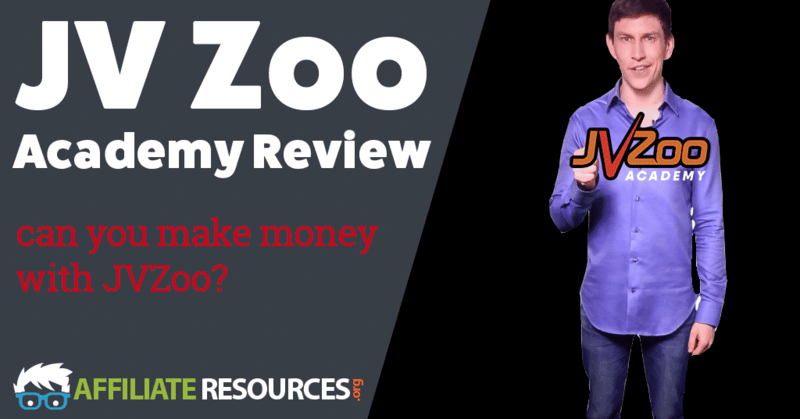 JVZoo Academy Review - Reliable Resource to Make Money with JVZoo? Since I wanted to learn about how to make money with JVZoo as an affiliate, I clicked the Affiliate Masterclass option… wrong choice. Instead of seeing training, I realized that it was an upsell for “JVZoo Academy Mastery.” So, I exited back out and tried to go into the Business Foundations area. Guess what. It was another link to the same upsell page. Actually, all of the areas of the academy except for “Fundamentals” link to the same upsell offer for the Mastery course. With that discovery made, I decided to go ahead and hit the Fundamentals course to see what it had to offer. Once inside the course, I noticed that it has 10 “lessons” that are videos ranging from 47 seconds to just over 6 minutes in length with the first being an introduction and the last being a “What’s next” video that tells you more about…guess what…the mastery course. I decided to go ahead and jump right into the first video. 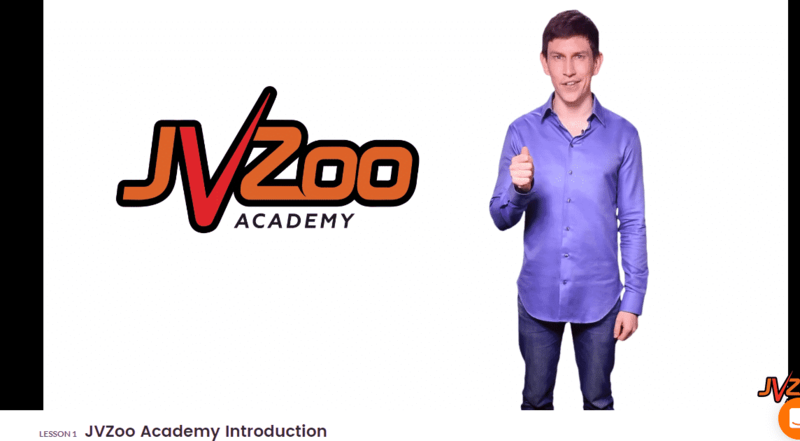 Call me a little picky, but the very first thing that I noticed after hitting the play button on the first video inside of the academy titled “JVZoo Academy Introduction,” was something that just irked me a little bit. Sam is there stating that he’s made sales from all over the world while on his laptop using the JVZoo platform. Everything in the video looks nice, crisp and professional, and it seems as though everything is on the up and up. Then, I heard it. Every few seconds in the music, I kept hearing a lady say “Audio Jungle.” Now, I’ve done business with Audio Jungle in the past, and just happen to know that the voice I’m hearing is basically a watermark that is heard on audio clips that you can sample before purchasing them. Just for a reference, a clip on Audio Jungle typically costs around $19. Something just irks me when I hear someone stating that they’ve made great money using a platform, but yet they can’t afford to pay the money to license the song? Something just seems off with that to me personally. As I progressed through the lessons I noticed that the video at the top of each lesson was the same one from the beginning of the course. Thankfully, I was able to fix this by refreshing the page, but it could be a bit confusing for newcomers who don’t know how to do this. With a quick refresh after completing each one, I was able to get on my way fairly quickly. After completing the video lessons, one thing was very clear to me. The entire course is nothing but multiple videos that somehow pitch the masterclass in every single video. Yes, I understand that it is designed to gear you up to buy the masterclass, but I honestly don’t feel as though I gained anything of value from this course. I already know the differences between sellers, affiliates, and customers. I already know that JVZoo is a platform that allows sellers to find affiliates to promote goods to customers and that you can sell products on it. I can honestly say that personally, I gained absolutely zero new knowledge from going through this training course. Perhaps for complete newcomers to affiliate marketing, there would be some new knowledge here, but for me personally, I feel like I sat through numerous different sales pitches for the masterclass. For example, the affiliate module, Lesson 6, literally says to sell products first and then use your list that you gain from selling to then promote relevant affiliate offers to. It also says “there are many different ways to get your offers in front of people, like Facebook, a review blog, or by having your own sellers’ list.” It gives no information whatsoever on how to build an audience or find relevant traffic, just that you need traffic in order to succeed. If you’re brand new to affiliate marketing, want to sell on JVZoo, or you want to strictly promote JVZoo products, you may gain some useful information from this course. Thankfully this is a free course as it really seems like it should have just been a quick, free webinar. In literally every video Sam created, he managed to find a way to slip in a sales pitch for the Master Class. In some, almost a third of the video is nothing but a sales pitch. There are numerous times when audio and video clips are repeated due to poor post-production editing. It makes me wonder if the Master Class would be any better as far as editing is concerned. I found myself having to constantly refresh the page in order to get the next lesson to load. I also found that I had to completely sign out and back in sometimes in order to get new lessons to load. I expected to at least learn basic traffic generation techniques. Instead, I feel like I sat through long explanations of basic marketing terms and how they are used on the JVZoo platform.  If you’re wanting to learn how to promote products or services on JVZoo, or any other platform for that matter, then you may want to continue looking elsewhere. Perhaps the Master Class would be a bit better for those wanting to learn how to make money on JVZoo, but if the quality is similar to what I’ve experienced with the free academy, I seriously doubt it. If you want to learn the ropes of what it takes to cut it with an online business in affiliate marketing, you can take just a few minutes and check out my top recommended course. It also has a free membership option that has significantly more to offer than what I found available inside of the JVZoo Academy. The moment you have mentioned too many pitches and thin content it was over for me lol. I get self promoting but if they pitch me 5 times in 2 minute video, I lose all of my motivation. Also not having a contact on hand can be a bummer for many beginners. Thanks for the review! Thanks for sharing this review. 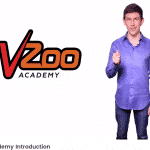 I had come across the JV Zoo Academy the other day, and wanted to learn more. On the face of it, it looked like a good deal – but am glad I found your review. It looks like a typical ploy to get you to upgrade to the paid master classes? This is a great comparative review with all related information about JVZoo Academy. I understood this program is genuine and it has some quality training also. But it is not perfect choice for beginners who want to earn while they learn. I believe the wealthy affiliate program is the best choice instead of JVZoo Academy. I have already joined this program as a premium member and I believe I will be successful through this. Thanks for sharing this great informative review. Hi Jay! It’s great to read your review about JV Zoo Academy. We not only get to know about this platform, but we also enrich our knowledge concerning what we should expect from an educational platform. I found very useful your comment concerning the watermark “Audio Jungle”. I totally agree. And I’m starting in affiliate marketing, but I already know the basics. So you have saved me time by explaining this free course really doesn’t add any value. It’s a pity, because I had quite high expectations concerning JV Zoo Academy. With the popularity of JVZoo one thinks they were supposed to be better than this. It is rather disappointing that something as simple as video editing that they are obviously supposed to be able to perform still had such errors. Also, what’s the deal with not purchasing the license to use the video editing software. I really don’t get it. It is rather strange that they did not purchase that video software even with the price been at $19. Is it that they don’t have enough money to get it or what. It is strange. Also, the fact that there was little to no valuable information in their free training shows that they are just after the money of people and not for actually passing on some valuable knowledge that would be of importance to whoever watches the video. It’s really strange. JVZoo may not be so useful to an expert affiliate marketer but a beginner could find their courses helpful. However, Wealthy Affiliate would definitely be my number one recommendation for anyone looking to learn affiliate marketing. Even the free package offers enough for a beginner but upgrading to premium is the best. I love the way you analyzed the Jvzoo review, its Top-Notch i must be sincere, the fact that one can learn a lot from the platform even freely is something worthwhile. But i understand that in most of his videos he channels everything to the sales pitch of the master class (smiles). Thats what most of them out there do anyway so i am not surprised. You have made a fantastic review, and i don’t think i would consider Jvzoo if you ask me according to your review. Left for me, I take programs like jvzoo as a crappy products and I don’t or can’t key into such products. Reason being that you can’t contact the owners of the business. How would you feel when you join a business and you can’t contact the people walking you through the platform when you face challenges in the platform. It’s crappy indeed.